A converted basement with an awkward layout in a new home had become a holding place for not only the family's own laundry and extra storage, but a half-bathroom and storage space for their newly moved in in-laws as well! Systems had yet to be put into place to organize a laundry station, cleaning supplies, camping gear, an extra pantry, hardware & paint supplies, files, books, sporting gear, and MORE. 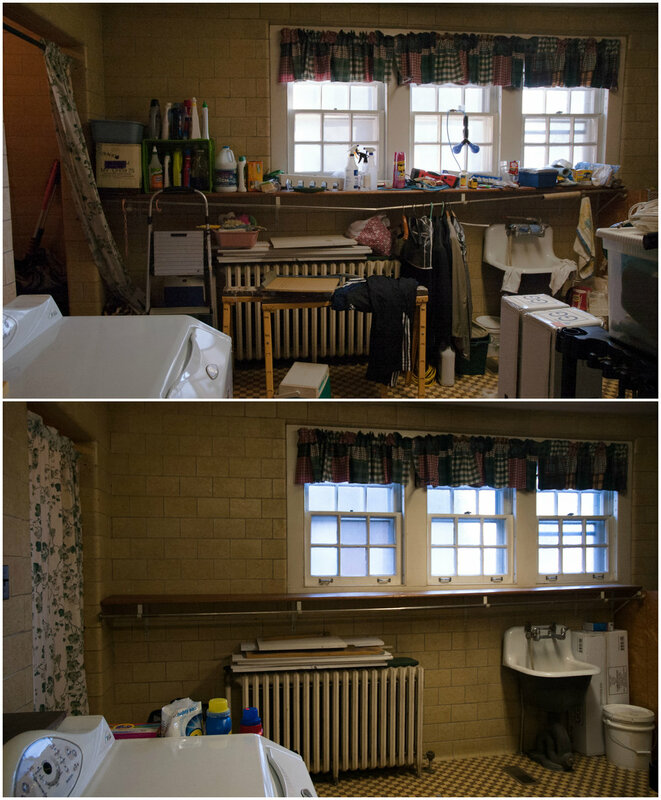 But with such an enormous space (and plenty to be thrown away or donated), there was more than enough room for everything once we tackled it together!